I'm very happy to say that after the craziness of two weeks ago, I had a very restful and productive week. 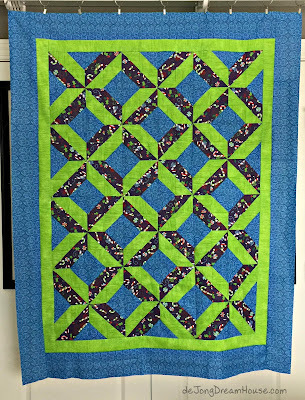 I finished a quilt, which always makes me happy. I also went back and wrote a post about my first finish of the year. 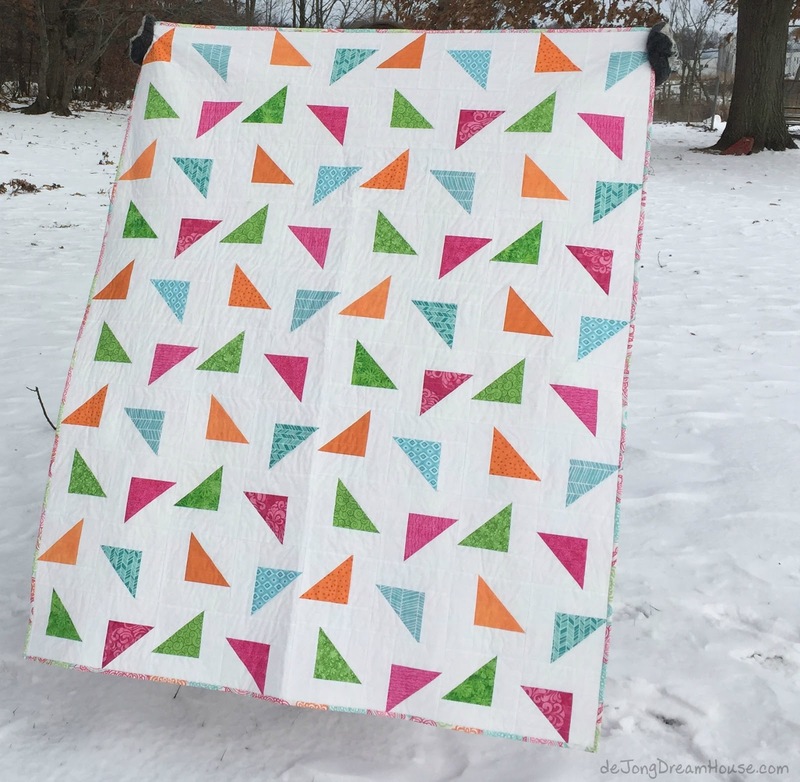 I also finished a quilt top made of blocks of what was intended to be a tree skirt 3 years ago when I was a new quilter and didn't know that fabric went out of print. It's been sitting in my UFO pile forever so it feels great to have found a way to finish it. I found some fun minky for the back and got it sandwiched, but I don't think I'll quite finish it before the end of the year. I'm making good progress on the Quiltville mystery quilt. Clue 4 was released 3 days ago, and I finished it 2 days later. We'll be busy with the holidays over the next couple weeks so it feels good to be caught up before I get behind. This week we played with purple again--my favorite, using the tri-rec ruler sets--that I'm learning to love. I'm still a little leary of triangle-in-squares given that I sliced my finger so badly on the first set. On slashed finger news, I'm getting my stitches out tomorrow. I'm a little nervous because it's been just over two weeks and I still can't bend it all the way. And one of the stitches is ingrown. Ouch! 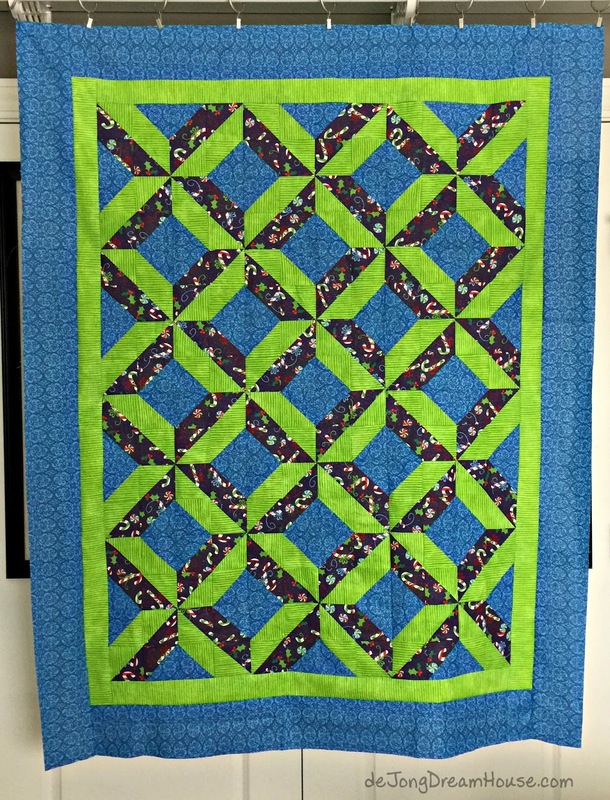 I'm only doing half the number of units because I'm making a smaller version of the mystery quilt. For this clue, I only needed to make 40 units. I don't know how many weeks of clues are coming, but it looks like we're getting close to making some blocks out of these units. In my project bin you can see that my yellows and greens haven't been touched yet. I saw how others played around with the units to try to guess what blocks we may create. Here are a few I made. And here a couple more. You can also follow me on Instagram at de Jong Dream House. 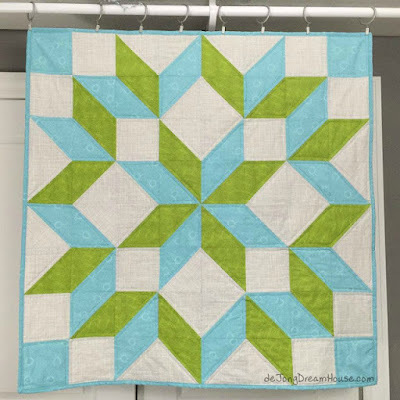 To see more pictures of this quilt in progress, look for #djdhenprovence. 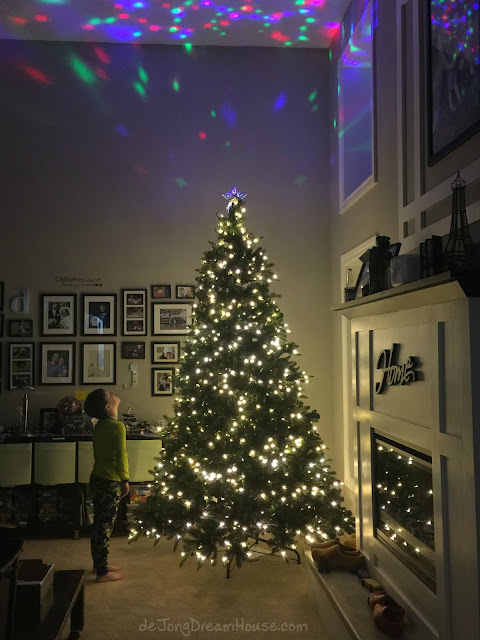 In case I don't get another post up before Christmas, may your holiday season be full of wonder. Lovely quilts. Wonder how the purple one is coming along. Surprise! Lots of possibilities. Have a wonderful Christmas!